Working as a police officer can be a solid and admirable career, but the decent salary and the good health and retirement benefits that come with it also come with a price. Between a lengthy hiring process and the rigorous academy training, it can be a hard job to get. Then you might find that it isn't quite what it's cracked up to be. Officers have cited these 10 drawbacks to the job. People constantly want to offer excuses for their actions and blame others for problems that they've created themselves. Whether they say they were speeding because they had to go to the bathroom, or they crashed because the sun was in their eyes, far too many cops deal with people who don't want to be held accountable for their actions. This can be quite frustrating for police. It's difficult to educate people and to enforce the law when people refuse to believe they did anything wrong or that their actions were justifiable. Police officers put their lives on the line every day, and the vast majority of them truly believe they're working to save lives. 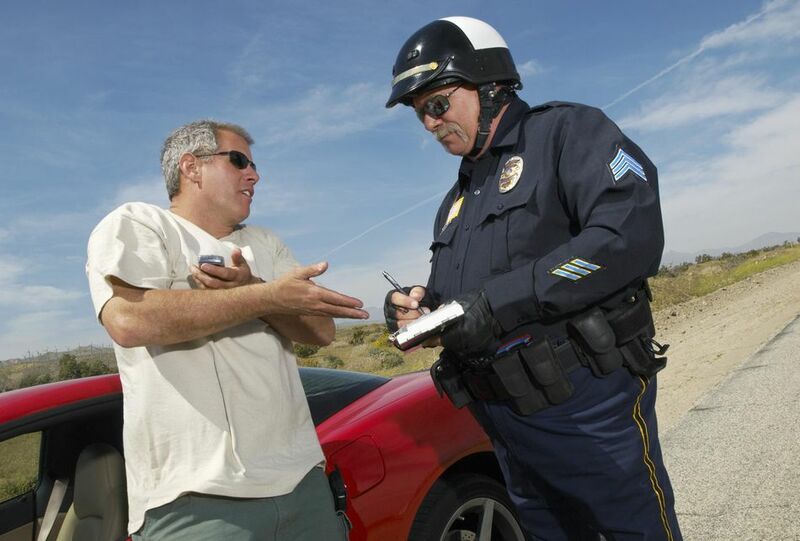 So when an otherwise law-abiding member of the public begins yelling and cussing at the cop who's giving him a ticket—or, worse yet, just a warning—it can be hard to take. Police are taught to stand there and take it, but that doesn't make it any easier. Law enforcement is a 24/7 operation. Somebody has to patrol the streets at all times, and that means shift work. Police officers also find themselves working a lot of holidays. The long and irregular hours can put a crimp in an officer's lifestyle, especially if he's got a family. You might go days without seeing your family because they're at school or work when you're home. It can put a strain on relationships. Television and movies often do more harm than good when it comes to stereotypes about police officers. Cops are all too often portrayed as big, dumb-knuckle draggers or gung-ho head-thumpers. Unfortunately, these stereotypes lead to a lot of misperceptions and misunderstanding about police officers. Many are smart, compassionate, and caring people who really do want to help others and make a difference in their communities. It often seems that anyone who's seen an episode of "Cops" or taken a class in criminology is suddenly an expert on all things related to law enforcement. This creates a lot of ​​myths that can make a police officer's job that much harder. People will insist that they can't be arrested unless they're first read their rights. In fact, that's not the case. Police don't have to read you your rights unless they're questioning you. The myth persists nonetheless, and people will sometimes become abusive or even violent when what they think should be happening doesn't go down the way they saw it on TV. There's a perception that the "cop culture" is one of corruption when it comes to taking care of each other and the "thin blue line" or the brotherhood. This can lead to a lot of distrust from the public and it's largely an unfair characterization. Yes, a few bad apples have earned that stigma, but most officers want to weed out the dirty cops even more than the public does. The majority of officers are well aware of the high ethical standard they're held to. They want very much to uphold the public trust. They do stick together in many ways, but only a rare few fail to understand that bad cops make all officers appear unethical. Police officers are scrutinized by the public perhaps more than any other profession, with the exceptions of politicians and celebrities. If a civil engineer gets into an argument with her neighbor, that neighbor probably isn't going to call her employer to complain that she was rude and discourteous. Everything an officer does on or off duty can be fair game for citizen complaints and even internal investigations if she's a police officer. That's a level of scrutiny you won't find in almost any other job. Law enforcement agencies are subject to both internal and external politics. Some officers find it frustrating and difficult to deal with the pressures that come from the politically motivated. Whether it's a disputed use of control case or a high-profile arrest, officers can sometimes feel as though their jobs are driven as much by the media and special interest groups as they are by the law and the principles they stand for. They sometimes perceive a conflict in those driving forces, and this can lead to low morale and bad feelings about the job. Fortunately, these instances are relatively rare and are often far more perception than reality. A large part of any police officer's job involves dealing with physical and psychological pain. They see people hurting from violence and abuse. They watch people become victims, and they see them dying and dead. They often meet the loved ones they leave behind. They have to tell husbands, wives, and parents that their children or spouse won't ever be coming home again. And they have to stay calm and strong in the face of it all. This brings its own pain. An officer can bury it, and even ignore it from time to time, but it will always be there. The job-related fatality rate for police officers is among the highest of any profession, according to the U.S. Bureau of Labor Statistics. It can be emotionally oppressive and even debilitating at times. Post-traumatic stress disorder is not uncommon in this profession and officers might struggle with seemingly inappropriate relief that it wasn't them instead. They sometimes struggle with anger that borders on fury. Not all officers have outlets for these tumultuous feelings. They don't want to burden their spouses or families with them, so they attempt to just deal with them. They're not always successful. Becoming a police officer is largely about sacrifice. No one should enter into the job with selfish motivations, because they will most likely be quickly disappointed. There are downsides to the job, but the benefits far outweigh the detriments.